​Explore 118 miles of stunning coastline in the Kingdom of Fife. 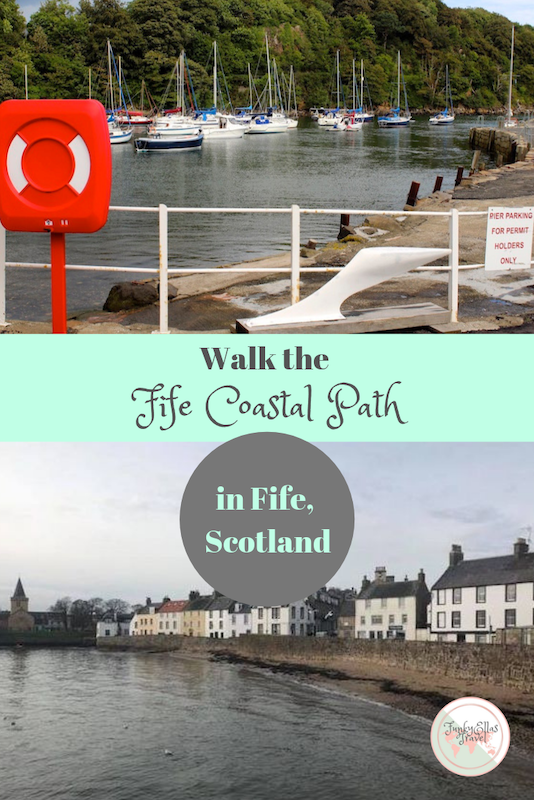 The Fife Coastal Path stretches from Kincardine Bridge in the south to the Tay Bridge in the north. Discover ancient castles such as Aberdour Castle, St Andrews Castle and Newark Castle, pretty fishing villages such as Pittenweem, Anstruther and Elie, stunning hidden beaches and popular beaches such as Aberdour Beach, Elie Beach and Burntisland Beach, war relics from the Second World War, forest paths filled with tall pines, harbours with colourful fishing boats and rugged cliffs and sea stacks. Spot wildlife as you pass several nature and wildlife reserves. Look out for grey seals, eider ducks and gannets, you may even spot a pod of dolphins! along the route, or break it into smaller sections done on different days which I am doing. ​Some sections are easy and don’t take much effort, others are wild and test your nerve, but all are peaceful, tranquil and absolutely beautiful. This is Scotland at it's finest. When is the best time to walk the route? The path begins in Kincardine, next to the Kincardine Bridge. There is no train station in Kincardine but you can get the train into either Dunfermline or to one of the stops on the Fife Circle line such as Rosyth, North Queensferry or Inverkeithing and then jump on a bus to the starting point. You can get a train to any of these stops direct from Edinburgh Waverley, or if you are coming from Glasgow you will need to do a quick change in Edinburgh. You can also get a bus straight from Edinburgh, from either the bus station or Waverley Bridge, which will take you straight into Kincardine. If you want to begin at any of the other stops along the route you can get a train to Inverkeithing, Rosyth, North Queensferry, Dalgety Bay, Aberdour, Burntisland, Kinghorn and Kirkcaldy. These stops are part of the Fife Circle Line (you can get the train from Edinburgh Waverley to Fife which will go around the Fife Circle Line). After Kirkcaldy the train veers inland to Markinch so you have to disembark. In Kirkcaldy if you get off the train cross to the opposite side of the tracks and head through the memorial gardens and straight ahead you'll see the bus station. 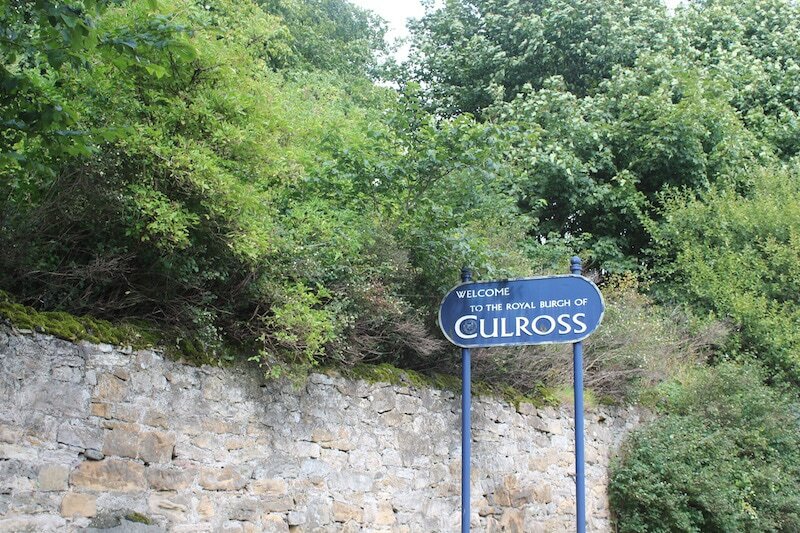 From here you can get a bus to any of the other villages and towns along the Fife Coastal Path. 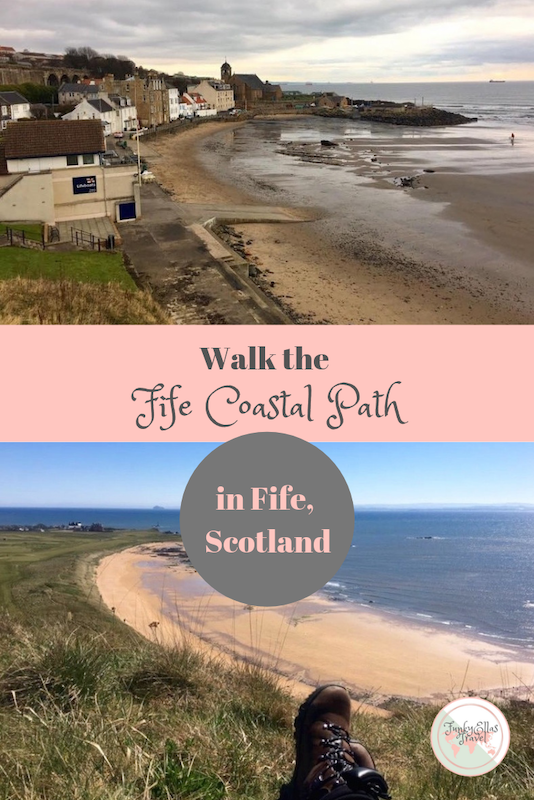 When is the best time to walk the Fife Coastal Path? I have walked sections of this path in all conditions. The ideal time to walk it, considering we are in Scotland, would obviously be summer when it's dry, warm and all the little shops and cafes along the route are open, but I actually prefer to walk it in the spring or autumn, purely because everything is just a bit fresher. In spring the trees are just beginning to grow their leaves, in the autumn they are an amazing array of colours. I wouldn't recommend walking the route after a heavy downpour as sections can be really slippery. I was thinking of including a photo of my mum here when she slid on her backside down a muddy sand dune but I'd better not! Early winder can be nice if it hasn't rained, when the ground is frosty and there is a chill in the air, the path is a lot quieter but be aware that not all the cafes etc will be open so pack a flask and a sandwich. My best advice would be to check the weather forecast beforehand, rain is the biggest problem as the snow doesn't tend to lie so close to the sea. If it's forecast to be fair go for it. The first section includes highlights such as the Kincardine Bridge, the 17th century village of Culross, the naval town of Rosyth and the stunning Forth Bridges. 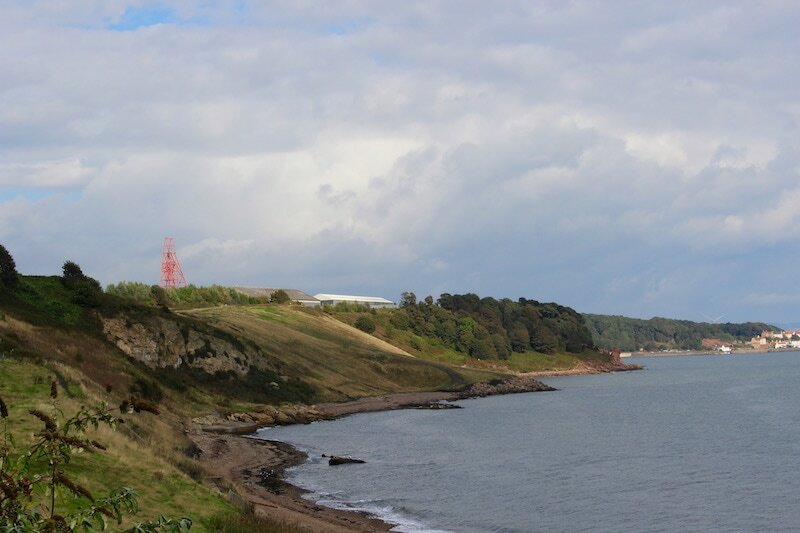 Here, look out for the beautiful Pan Ha houses in Dysart and the impressive views over the Firth of Forth when the Fife Coastal Path climbs high atop the cliffs. You'll discover the beautiful little fishing villages of Pittenweem, Anstruther, Cellerdyke and Crail before heading into the home of golf - St Andrews. Don't miss the Distillery for a dram. The final stretch which will take you within viewing distance of the Tay Bridge which will take you to Dundee. 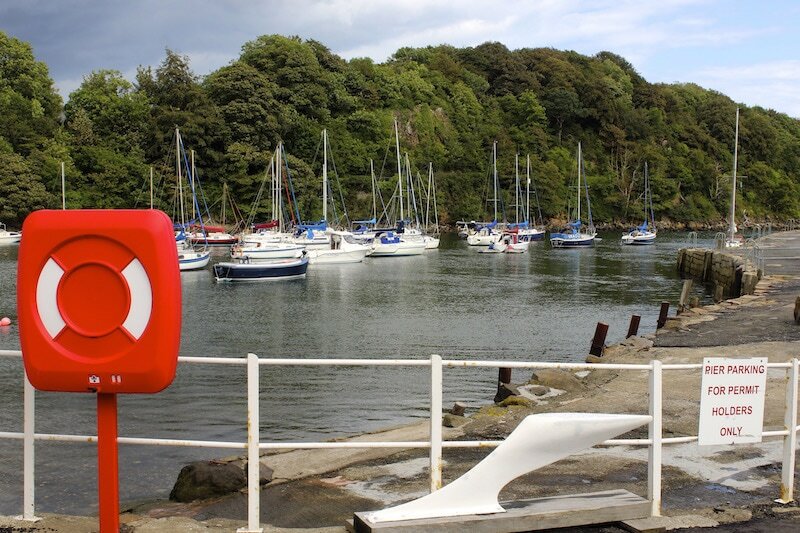 Highlights of the second section include the smallest working lighthouse in the world in North Queensferry, Carlingnose Wildlife Reserve and the beautiful Aberdour Beach and Castle. The Wemyss Caves await you as you begin this section, and you'll also find MacDuff Castle, cemetary, Leven Promanade and some mighty tall standing stones. You are in for a treat with this section. The ruined Newark Castle, white sandy beaches and the home to Alexander Selkirk, the writer of Robinson Crusoe. Highlights of this section include RAF Leuchars and a beautiful forest of pine trees which line the beach. Some seals can often be spotted on the Nature Reserve. Buy a map from the coastal path centre in Dysart so you don't miss any of the wee hidden gems along the way. Pack a well fitting rucksack which sits nicely on the centre of your back. Depending on how far you plan to walk pack some plasters, just in case. Bring a reusable water bottle, ask in any cafes along the route for a refill. If you think you are lost the google map section is handy, it'll show you exactly where you are. It's also handy if you leave something somewhere so you can retrace your steps ( have had to test this out before). Keep a note of bus times to return back to your start time if you are just doing smaller sections. Be aware that on Sundays and bank holidays the bus and train times change and there will be fewer.